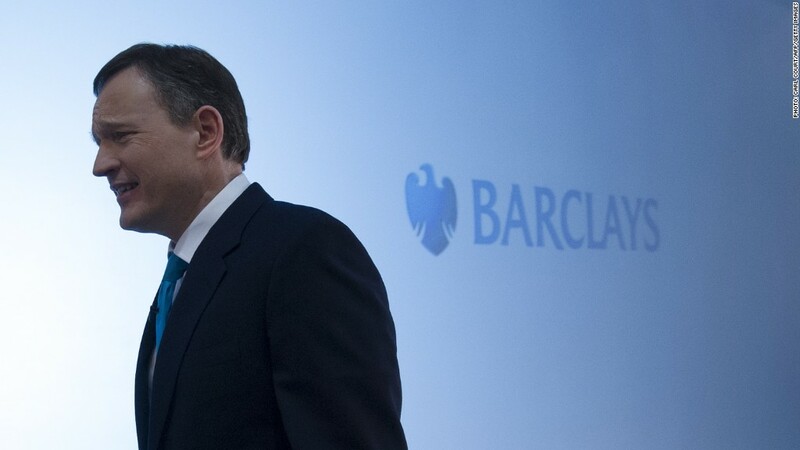 Barclays CEO Antony Jenkins has promised big changes in the culture and behavior of the bank. Barclays is paying its investment bankers bigger bonuses even as it sheds as many as 12,000 jobs this year after profits tumbled. The British-based bank said Tuesday that fourth quarter earnings before tax fell 86%, dragged down by a loss of £329 million in investment banking. In a move that angered union and boardroom representatives alike, Barclays (BCS) said its investment bankers would share a bonus pot of £1.6 billion, up 13% on 2012, receiving £60,000 each on average. "Despite claims there would be no return to its old ways, Barclays is increasing bonus pools for those already paid unimaginably high salaries," said Unite union official Dominic Hook. A Barclays spokesman said 10,000 to 12,000 jobs would go in 2014, including about 7,000 in the U.K. The bank has about 140,000 employees worldwide. Senior bankers won't be spared -- 220 managing directors and 600 directors will lose their jobs within the next month, the spokesman added. Barclays is 12 months into a major overhaul initiated by CEO Antony Jenkins to repair the bank's finances, restore its reputation following a series of scandals, and withdraw from some businesses. Jenkins has promised big changes in the culture and behavior of the bank. He took the job after Bob Diamond was forced out in the wake of the Libor scandal. Jenkins is not taking a bonus for a second year running but said the bank had to pay for performance in a competitive market. The increase in bonuses took the proportion of income paid out to Barclays investment bankers up to 43% last year -- way above the mid-30s it says it wants to achieve in the medium term. "It cannot be right in any business for the executive bonus pool to be nearly three times bigger than the total dividend pay out to the company's owners," said Roger Barker, director of corporate governance at the Institute of Directors. "The question must be asked -- for whom is this institution being run?" Investors took a dim view of the news Tuesday, sending shares in the bank down by roughly 6% in London trading. Apart from the costly Libor affair, Barclays has been hit by scandals over the sale of a range of products. It's also involved in a global investigation into possible rigging of the foreign exchange market. It was forced by regulators last year to raise billions from investors to plug a gaping hole on its balance sheet.